There’s just a whole lot of Death going around, it seems. 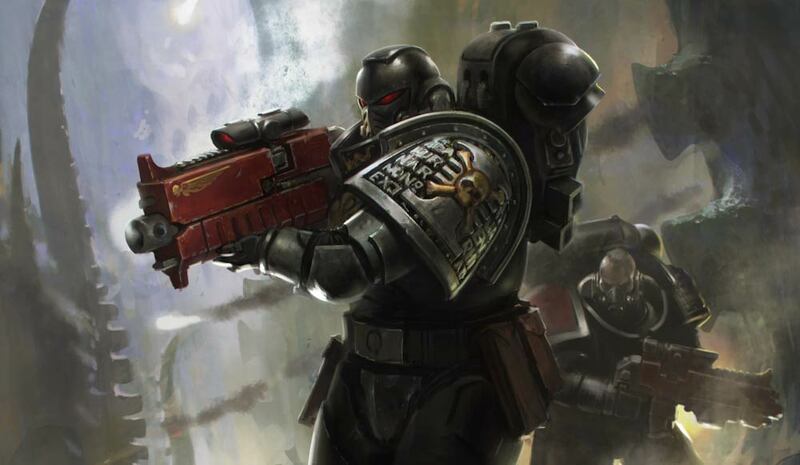 Whether it’s Deathwatch or a Deathworld or all of the killing that will happen by and to teams and in a zone–the distant future really is grim and dark when you get down to it, I suppose. But, the present is a little brighter, there are new Kill Team sets coming and we’re getting some swanky new Killzone terrain along with them. Take a look. 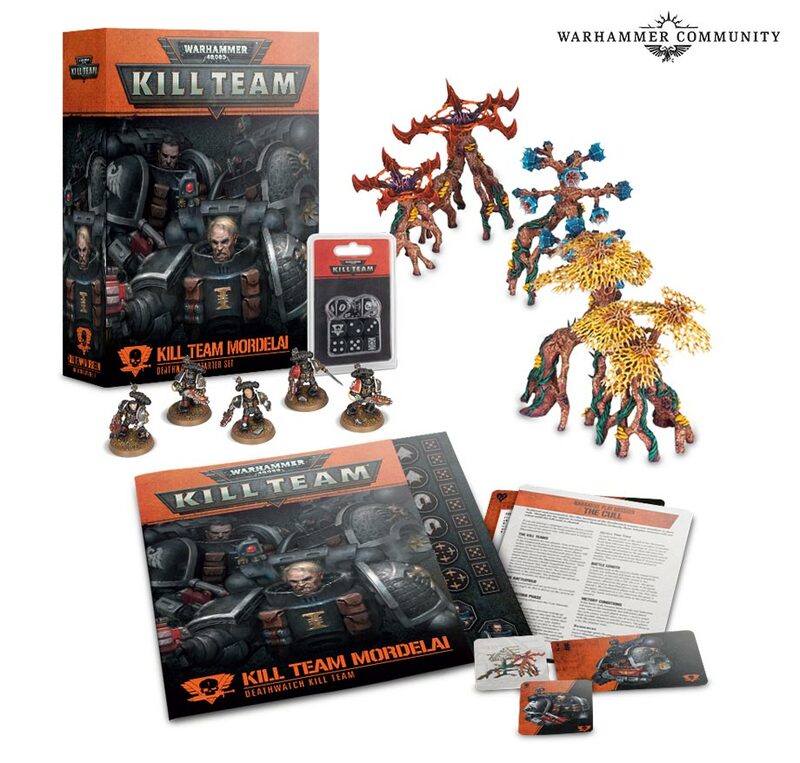 Each Kill Team Starter Set is packed with content that’s essential for players of that faction. A custom token sheet makes it easy to work out at a glance who’s shaken, readied or has already advanced, while a deck of Tactics cards allows you to muster your most devious stratagems with ease – as well as featuring unique new Tactics you won’t find anywhere else. Meanwhile, each Starter Set contains a full multipart set of models, specially chosen from the main range for their wealth of customisation options. 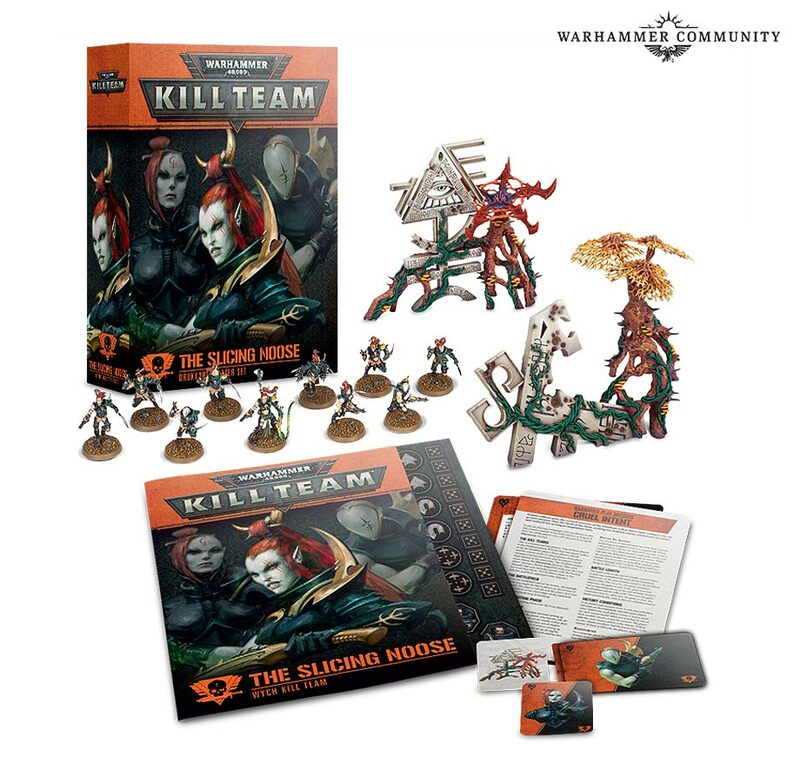 Meanwhile, lore booklets and pre-filled cards make getting involved with Kill Team simple by giving you a rich set of lore to inspire your battles and giving you a strong base on which to build lethal kill teams of your own. And of course, you can see the terrain built into these sets. Aeldari ruins and your standard deathworld killing trees that will strangle and poison and somehow manage to grab hold of your plasma gun and explode you. As with the Killzones before it, the death world forest is packed with content, featuring unique missions and Tactics usable by your team. 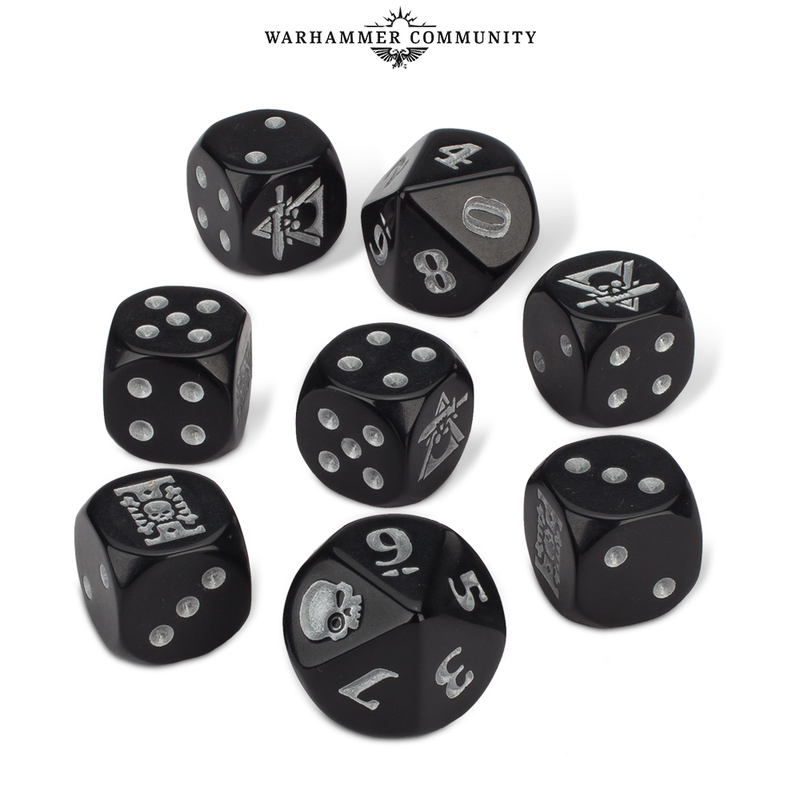 Whether you’re looking to add even more danger your campaign or just grab loads of terrain at a great price, you’ll want to make sure you pick up this box. 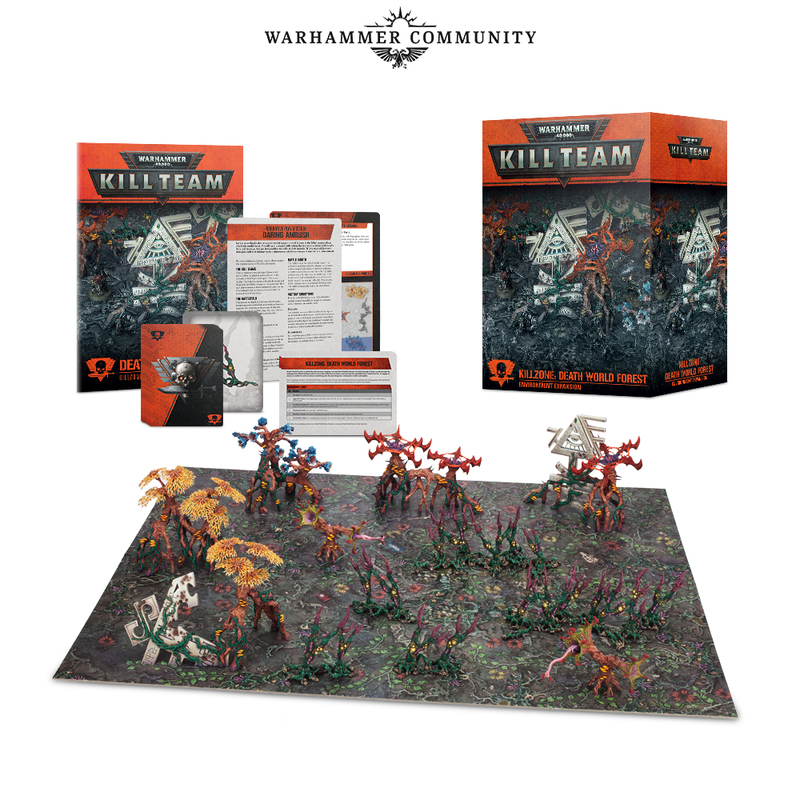 Essentially, this kit lets you turn your deathworld forest into an active hazard on the battlefield. 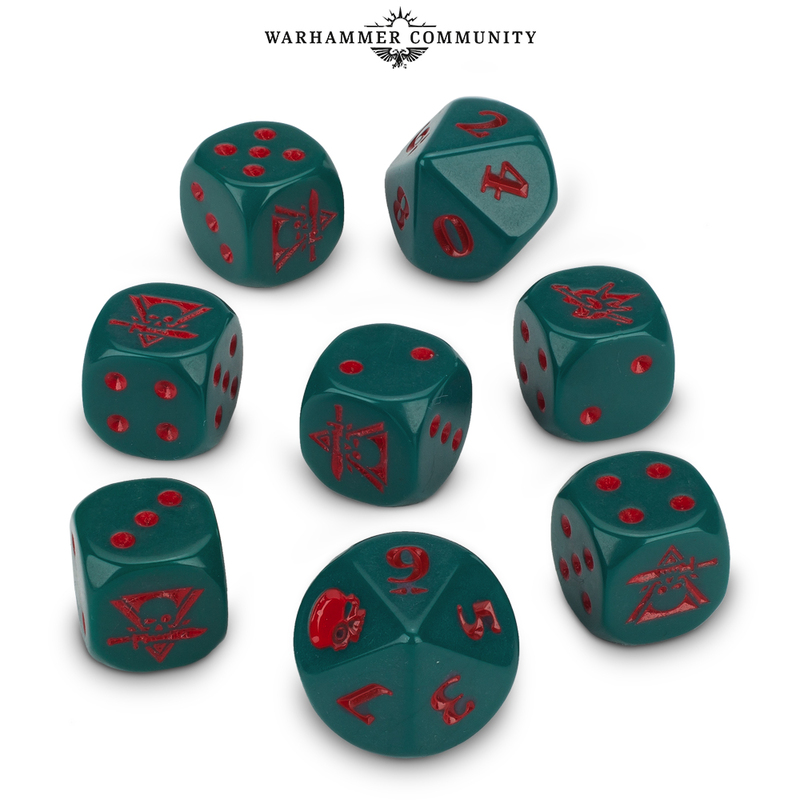 There’s a lot to dig through here, but what would a Kill Team release be if we didn’t also get custom dice. All of these will be available next week, so tune in for previews and more as the week goes on. Finally a Killteam Kill Team.